n 1851, one of his last creative years (he had relocated to Düsseldorf to become the new local Musikdirector), Schumann composed the Trio with piano n.3 in G minor, the two Sonatas for violin and piano op.105 and op.121 and the Märchenbilder for viola and piano, op.113. When not affected by his nervous troubles, the composer allowed a creative fervour to permeate him, and often went back, among other things, to his favourite style, that of chamber music. 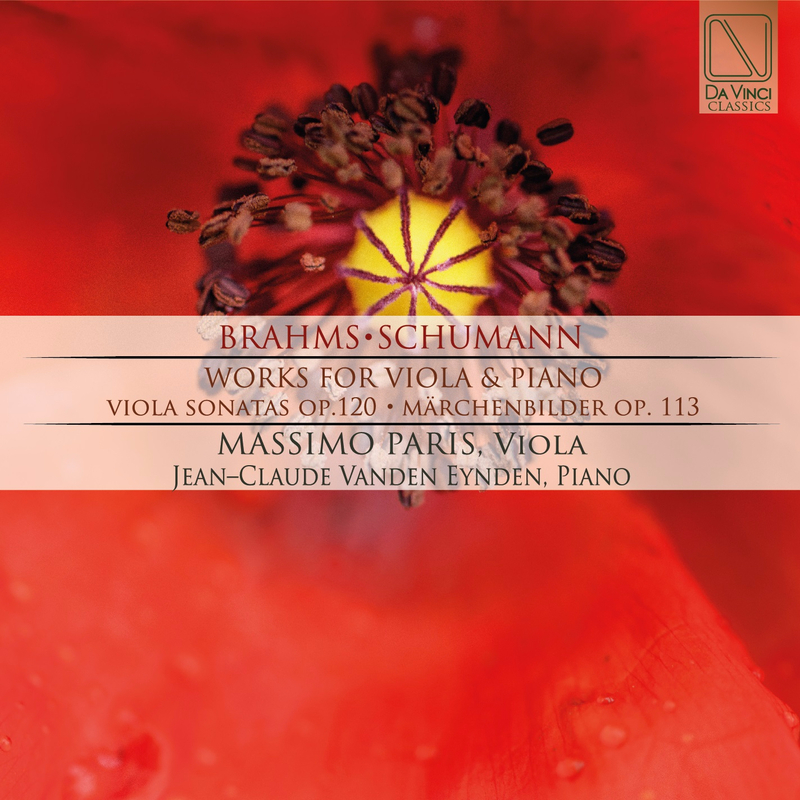 Putting to good use the evocative timbre of the violas, the Märchenbilder (Fairy-tale pictures) recall Schumann’s own evocative visions, to be seen in much of the music he wrote for pianos (with or without explicative titles). The features of Schumann’s soul – which Schumann musically expressed so well in his auto-analytic characters, such as the impetuous and passionate Florestano, the melancholic and nostalgic Eusebio and the level-headed Maestro Raro (outlined with masterly skill even in the versatile Carnaval for piano) – resurface in the wake of a dreamy and absorbed style, which may switch over to passionate and pleading, or rhapsodic and evocative. Four different pictures, almost abstract, fairy tale-like, that depict Schumann’s soul, multifaceted like an iridescent kaleidoscope of moods and colours, creative impulse and psychological aspects. A real universe of tints and atmospheres, accompanied by the bronze-like and persuasive voice of the violas, at times almost human and narrating. Vanden Eynden, Jean-Claude (Pianist), was born in Brussels and studied under the direction of Eduardo Del Pueyo until the completion of his studies at the Chapelle Musicale Reine Elisabeth. Aged sixteen he was third laureate of the Concours Reine Elisabeth, at which moment his career as a soloist began, a career which has taken him all over the world. He has performed with many symphony orchestras, including the Symphony Orchestra of Leningrad, the Royal Philharmonic Orchestra of London and Franz Liszt of Budapest. He has played under the direction of Paul Kletzky, Rudolf Barshaï, Mendi Rodan, Yuri Temirkanov. Among his partners are Augustin Dumay, Silvia Marcovici, Philippe Hirschhorn, José Van Dam, the Quatuor Bulgare, the Quatuor Via Nova, the Quatuor Enesco, the Quatuor Melos. He has been a member of numerous international juries and contests, including the jury of the International Music Contest Reine Elisabeth, and other international contests.